False advertisement[ii] is any advertising or promotion that misrepresents the nature, characteristics, qualities or geographic origin of goods, services or commercial activities. An advert that is false contains false statement of fact about the advertiser's product or another person's goods, services, or commercial activity. Such advert deceives and has the potential to deceive a substantial portion of its targeted audience. The deception in the advert is also likely to influence the purchasing decisions of its audience. False adverts contain statements that either results in or is likely to result in injury to the consumer. The most heavily weighed factor is the advertisement's potential to injure a customer. [iii] The European Economic Community Draft Directive (ECC) Article 2 defines ‘misleading advertising’ as any advertising which is entirely or partially false or which, having regard to its total effect including its presentation , misleads or is likely to misleads persons reached, unless it could not be reasonably foreseen that these persons would be reached thereby’ The ECC Draft Directives are replicated in the Nigerian Food Products (Advertisement) Regulations[iv] whereas the regulation does not expressly define false or misleading advertisements most of its regulations prohibit misleading adverts. Regulation 4 explains the nature of advertisements and exempts misleading adverts from its scope. Regulation 12 prohibits vague and misleading statements or half-truths, Regulation 13 and 14 disallows the use of false data in comparative advertisements, Regulation 15 prohibits the use of false names that are suggestive of nutritional properties. These regulations form the bulk of consumer protection from false and misleading adverts in Nigeria. Whilst it is generally regarded as self-evident that the consumer can be deceived, misled or tempted by promotional methods into agreements he would not otherwise have made. [v] This is equally true whether the promotion is in the form of general advertisements, ‘sales patter’ or the labeling and packaging of goods themselves. It is an ethical problem which the courts have recognised in Valentine v. Chrestensen[vi] and Virginia Pharmacy[vii] wherein it stated that consumers have a strong interest in the free flow of lawful and accurate commercial information (advertisements) and so ought to be protected from advertisements that can mislead consumers and injure competitors. In the financial sector the consumer is susceptible to the notion that it is comparatively easy to acquire goods and services on credit terms or to negotiate a loan, a notion that is frequently given by extensive advertising and persuasive salesmen. Secondly, the individual is less likely to be informed as to the true cost of the credit to him or even the most suitable form of credit provision for his particular requirements. Finally he might be pressurised by the canvassing salesmen into entering into transactions which sober reflections or subsequent events might lead him to regret making. The Consumer Credit Act[viii] tightened the reins on the restrictions imposed by the Money Lenders Act which regulated the advertisements by Money Lenders. Such advertisements were to contain only basic information, personal solicitations were not allowed. The recent Ponzi schemes scam made use of door-door advertisements offering huge financial returns whilst unsuspecting and vulnerable consumers were lured in to the scheme. While it might be difficult to ascertain financial decisions made as a result of advertising and pressure, there is a need for the law to concern itself with these difficulties and protect vulnerable consumers. The problem of misleading advertisements gets worse by the day though it is illegal in its most blatant forms, deceptive advertising can occur in subtle ways that are difficult to establish as outright deception. 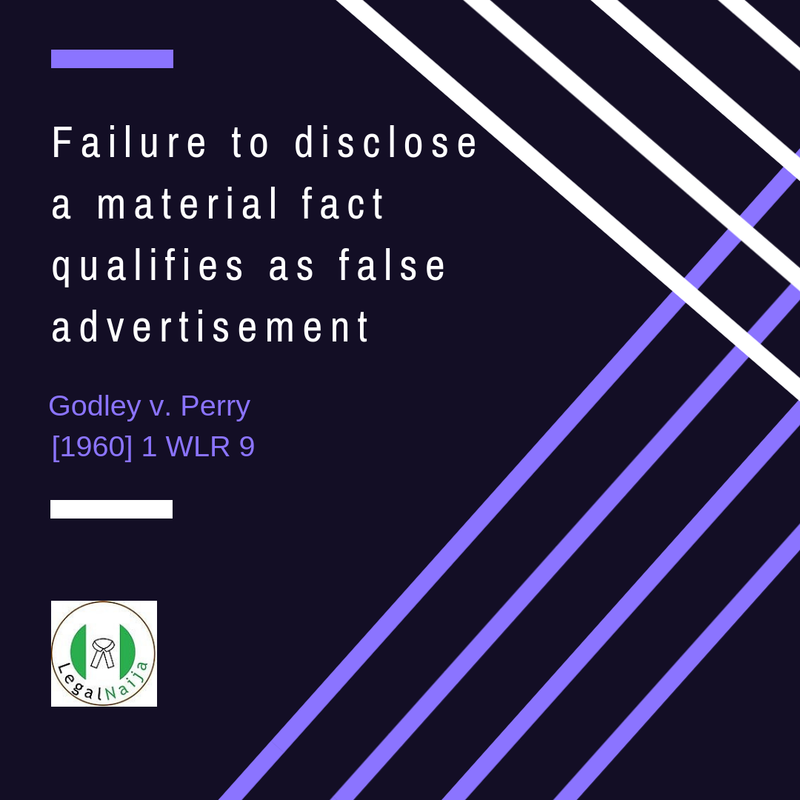 The courts in Concentrated Foods Ltd. V. Champ[ix] stated that the test for misleading adverts lies in the understanding of the ordinary man. It follows therefore that if an ordinary consumer is likely to be misled then such advertisements are false. Consumer deception as a result of misleading advertisements and strategies to counteract it are important issues in today’s marketplace. [x] The court noted the foregoing in Central Hudson Gas and Electricity Corp. v. Public Service Commission[xi] when it stated that advertisements must not be misleading or concern unlawful activities. Surrogate advertisement is one of those less researched areas. Here a company advertises a non-existent product which is likely to create a need associated with the brand name, the consumer memorises this, evaluates and eventually goes on to make purchases based on brand. In the case of United Breweries Ltd v. Mumbai Grabak Panchayat[xii] the court held that the defendant United Breweries advertised an alcoholic drink as if it were soda(soft drink), the court found that the acts of United Breweries constituted surrogate advert. It further held that the actions of the defendant (surrogate liquor advertisement) was aimed at misleading and encouraging the younger generation to consume alcohol. It follows that consumers associated the brand name with soda but upon purchase it turned out to be alcohol which most of the young consumers purchased. The Nigerian Food Products (Advertisement) Regulations[xiii] prohibits surrogate liquor advertisements; it prohibits expressly the ambiguous inference to the tonic properties of a product whereas such product contains alcohol or caffeine. In Godley v. Perry[xvi] the courts stated that failure to disclose a material fact qualifies as false advertisement. Going by this premise, advertisements by telecommunication firms advertising caller tunes withholding the material fact that such subscription will be automatically renewed at the end of the month except the consumer opts out amounts to false advertising. The impact of this on consumers who are oblivious to such re-occurring surcharges can be best imagined. Asides paying for a service they may no longer need they might still lack the basic information to opt out of such service, these telecoms firms gain at the expense of vulnerable uninformed consumers who cannot make rational choices. Determining what constitutes insufficient disclosure American Home Products Corp v. Johnson and Johnson. Johnson whilst advertising its product left out a few side effects of its own. The court held Johnson to be in breach of the Lanham Act because of the potential health risks it posed to consumers and the fact that it did not fully disclose the side effects of its products to the general public. In Broomfield v. Craft Brew Alliance, Inc.[xvii] Kona Beers were being advertised in a manner to suggest that the beers were produced in Hawaii when in fact they were produced in Oregon. The Kona brands bore names and images that evoked a sense of Hawaii origin. The beer’s outer packaging showed the map of Hawaii and the location of the Kona brewery, and encouraged consumers to visit their brewery and pubs whenever they were in Hawaii. In delivering its decision against Broomfield, the court said that the disclaimer on the bottle was not visible enough to a consumer as such it constituted false advertising. On the shelves of various stores abound goods that mislead the consumer as to its origin. 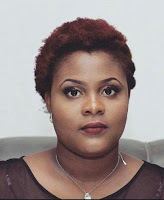 The vulnerable Nigerian consumer is largely unaware of the criminalisation of adverts such as this and so he may be unaware of the fact that he can approach the Consumer Protection Council to address the issues. [ii] Lanham Act, 15 U.S.C.A. § 1125(a))." [iii] West’s Encyclopedia of American Law, 2nd ed. [iv] 1994 NO.15. S.I 13 of 1996. [vi] 316 U.S 52 1942. [xi] 447 U.S at 557. [xii] (2007) CPJ 102 NC. https://indiankanoon.org accessed 27th December 2017. [xiii] 1994 NO.15. S.I 13 of 1996. Regulation 17.